For Tana & Eric, fishing has been in their family for over 50 years and three generations. 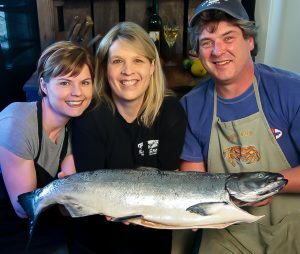 The story started when Tana Skaugrud and husband Eric began fishing off the Washington coast in 1988. Unexpectedly, one of their neighbors noticed the crab pots in their yard and asked to buy some of their catch. Their fish soon gained a reputation in the neighborhood, and so they opened up a successful stand at the county farmers’ market. Those small beginnings developed into what’s now Skagit’s Own Fish Market, a locally-renowned store offering the very finest of Pacific seafood and other home-grown produce. For Tana and Eric, fishing is a way of life that’s been in the family for over 50 years and three generations. Eric started his fishing career in the Bering Sea longlining for halibut & black cod. To be closer to his family, he left the Bering Sea to fish off the coast of Washington for dungeness crab and to help with the fish market here in the Skagit Valley. Members of their family still go out to sea in all weathers to fish for salmon, and Tana is always invited on board to take first pick of the catch for the store. … the magnificent Washington coastline, the sightings of porpoises and killer whales, and above all the pride in bringing home a superb fresh catch. Skagit’s Own Fish Market offers the kind of high-quality seafood,coupled with personal and knowledgeable service that chain stores can’t even hope to equal. Staff are always on hand to advise on all aspects of the seafood, including provenance, nutrition, and recipe suggestions. The store carries a wide selection of other local foods from producers such as Taylor Shellfish, Burrows Bay, Golden Glen, Aldrich Farms, and many others. 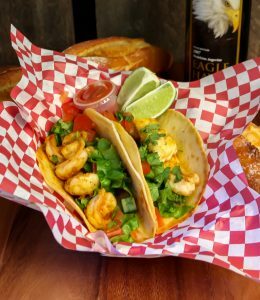 There’s also a range of delicious freshly-prepared dishes including halibut tacos, prawn tacos, shrimp cocktail, crab cocktail, clam chowder, oyster burgers, and raw oyster shooters. Come to Skagit’s Own Fish Market, where you’re assured of a warm welcome, and where you’re guaranteed to see the very best of local produce on offer! 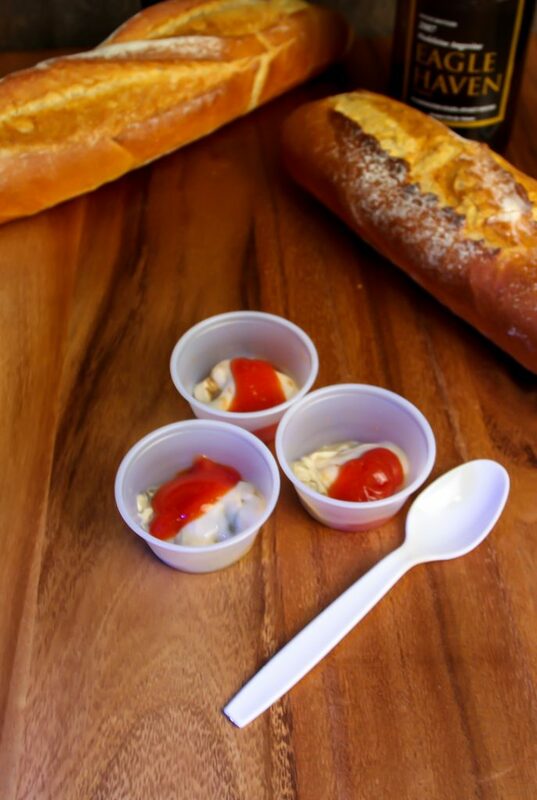 We work with only the best & freshest seafood.